The Rutabaga Project – The Rutabaga Project aims to get more nutritious and local food to everyone in the City of Virginia and beyond! The project employs community engagement to determine local solutions to food insecurity issues by making local produce more accessible and affordable. The Rutabaga Project will promote community health while also creating a model for a local, sustainable food system. The Rutabaga Project is a coalition of community partners, initiated as a partnership between the Arrowhead Economic Opportunity Agency (AEOA) and IRPS, including SNAP-Ed and the University of Minnesota Extension, Healthy Northland, Essentia Health and numerous other organizations and individuals! YES! – IPRS supports the Youth Energy Summit (YES!) program in partnership with the Laurentian Environmental Learning Center. The YES! program empowers youth to partner with their communities to create economic and environmental vitality through hands-on learning and team-based projects inspiring creative and workable solutions addressing issues such as renewable energy, climate change, energy efficiency and conservation. 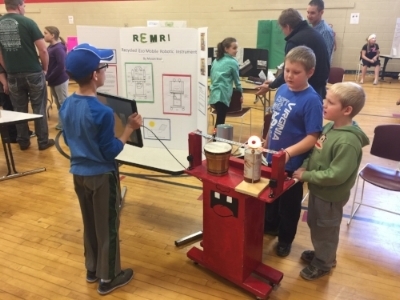 Green Innovator’s Expo – The Green Innovator’s Expo taps into the creativity and ingenuity of Iron Range students while exposing their minds and talents to challenges facing our community, economic, and environmental sustainability. Participants think critically and develop creative solutions to sustainability-related challenges such as waste and energy efficiency. The Expo is a presented jointly by the Range Engineering Council (REC) and IRPS. Virginia Market Square Farmers’ Market – IRPS is a partner in an initiative to bring life to the Virginia Market Square (located in City Center Park in Virginia). Virginia Mayor Larry Cuffe dedicated the “Virginia Market Square” space as part of a Sustainability Matters event in August 2015. Thanks to support from the Virginia Community Foundation, the Virginia Market Square kicked off in June 2016! The farmer’s market takes place each Thursday afternoon from 2:30 - 6:00 PM, and is located on North 4th Avenue West between 1st and 2nd St. North in Virginia. The Virginia Market Square welcomes SNAP-EBT customers. During the 2019 season, SNAP customers can participate in various matching programs through both the Market Bucks program and through a partnership with Essentia Health! Growing Together – Virginia Community Gardens – Growing Together builds healthy sustainable community by creating neighborhood gardens and gardening education opportunities for all residents. Growing Together is shared project between IRPS, Arrowhead Economic Opportunity Agency (AEOA), Essentia Health, Friends of the Olcott Park Greenhouse, and the City of Virginia. It is an offshoot of the Rutabaga Project which aims to increase accessibility to healthy, local food for all residents of Virginia, Minnesota. Start-up funds for this project were provided by Essentia Health. Questions and comments can be sent to growingtogethervirginia@gmail.com.